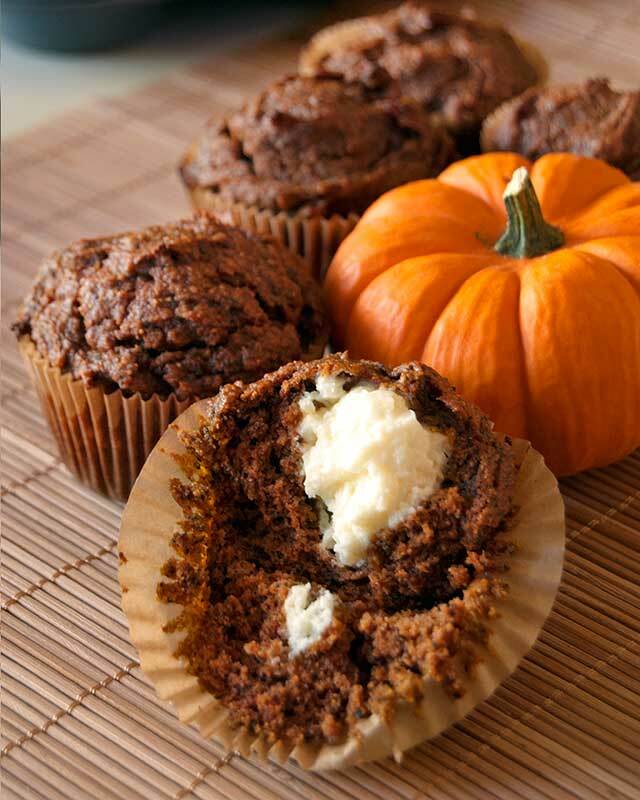 A cool autumn morning deserves a perfect autumn breakfast; warm, spiced, pumpkiny morsels of goodness. That’s exactly what these muffins are. One of my absolute favorite things about fall is pumpkin! We put it in everything, coffee, breads, pies, soups, cookies… On this particular day I had the windows open with the cool fall air drifting in, and I started craving pumpkin and cream cheese. Normally I would revert to something like a cheesecake (because pretty much every random food idea I have involves cheesecake in some form), but I felt like something warm and comforting. 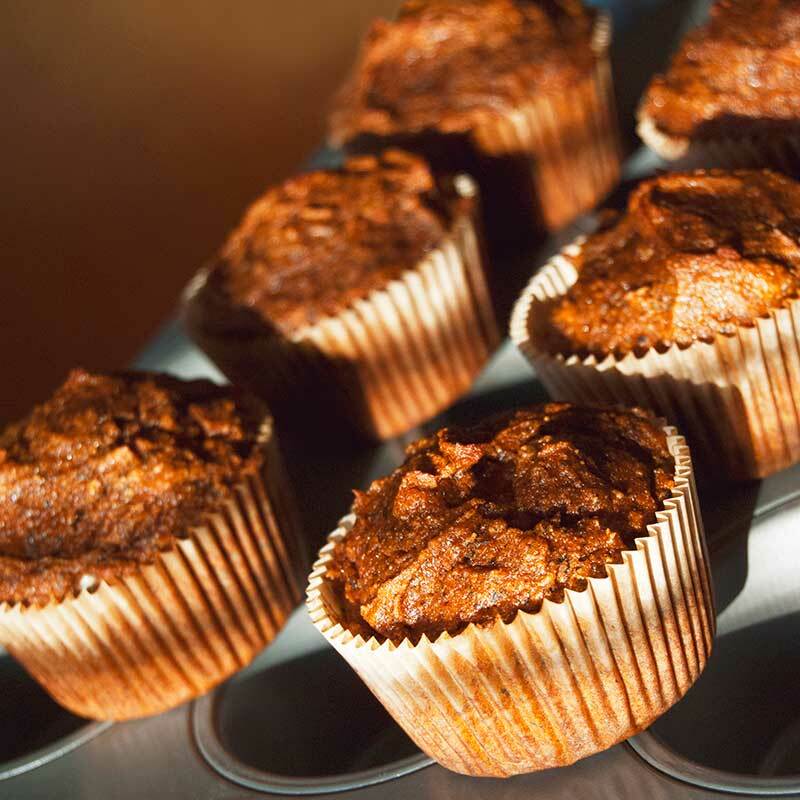 These muffins fit the bill perfectly! I’m sharing these with my friends at Fiesta Friday. Enjoy! And have a lovely weekend! 🙂 What are your favorite things about autumn? I am just drooling! 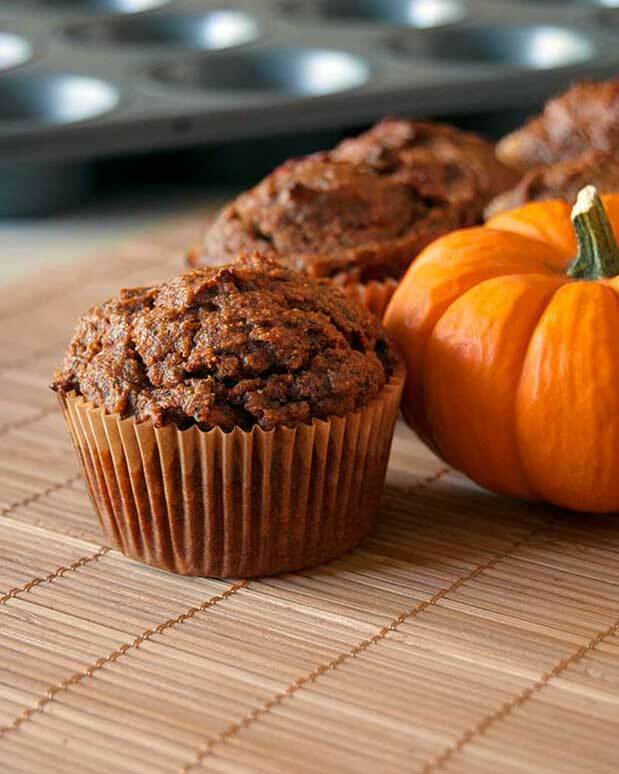 It isn’t fall without pumpkin and spices. This looks amazingly delicious. These sound really tasty, perfect for this time of year as you say! 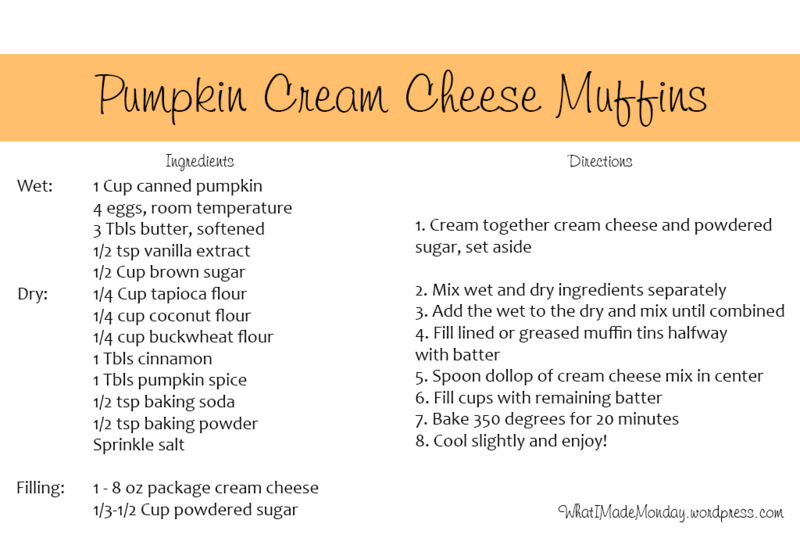 I am in love with these pumpkin muffins especially since they are GF! I have bookmarked the recipe. Thanks for sharing! Thank you! I hope you enjoy them! 🙂 Have a fantastic day!